Let's be real...from Backstreet Boys to One Direction to New Kids on The Block or even the Jonas Brothers, boy bands will always be there to help us turn up the party! So what better way to do that than at the one and only Boy Band Bar Crawl in River North!? So QUIT PLAYING GAMES WITH MY HEART and BUY BUY BUY your tickets now! Prices will increase! 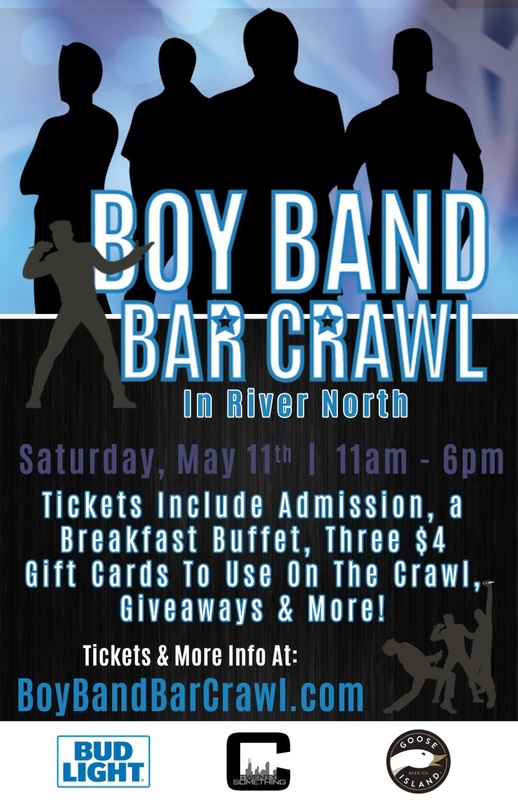 WHAT'S INCLUDED: Tickets include Admission, a Breakfast Buffet, Three $4 Gift Cards to Use on the Crawl, Giveaways and More!